The Rhythmic Hip Hop & R&B Sound Sample Package consists of 3 premium kits taken from our top featured piano instrument sample sound series products. It includes vintage electric piano and grand piano riffs, chord sounds & rhythmic chops suited for Hip Hop, R&b, Neo Soul & Ballad music styles. 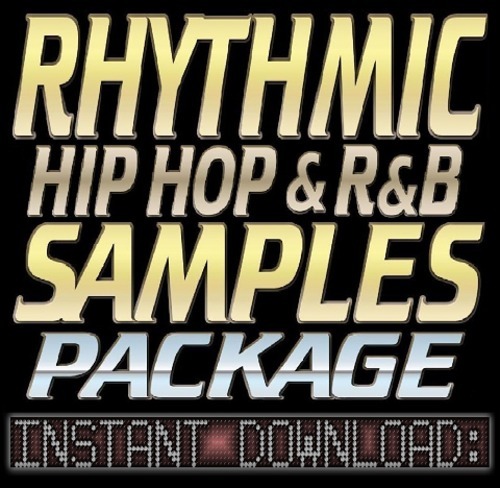 * 621 individually recorded sample sounds in the styles of Hip Hop, Ballad, R&B & Neo Soul! * Includes all the sounds found in the rhythmic series library! * Chord voicings & chops recorded and sampled from a seasoned Jazz-Blues Pianist! * Dozens of different bpm/tempo's and 4 variations within each tempo to mix and match! * Written bpm tempo file names that will accurately match with your DAW's! Rhythmic Hip Hop Rhodes Piano Vol 1 Kit. *155+ Electric Piano Sounds + 12 bonus sounds from the Rhythmic R&B Rhodes Piano Vol 1 Kit. Rhythmic Ballad Grand Piano Vol 1 Kit.